As a follow-up to Wednesday's post, I thought I would share what we sent to Lindsey's family this week as a thinking of you gift. 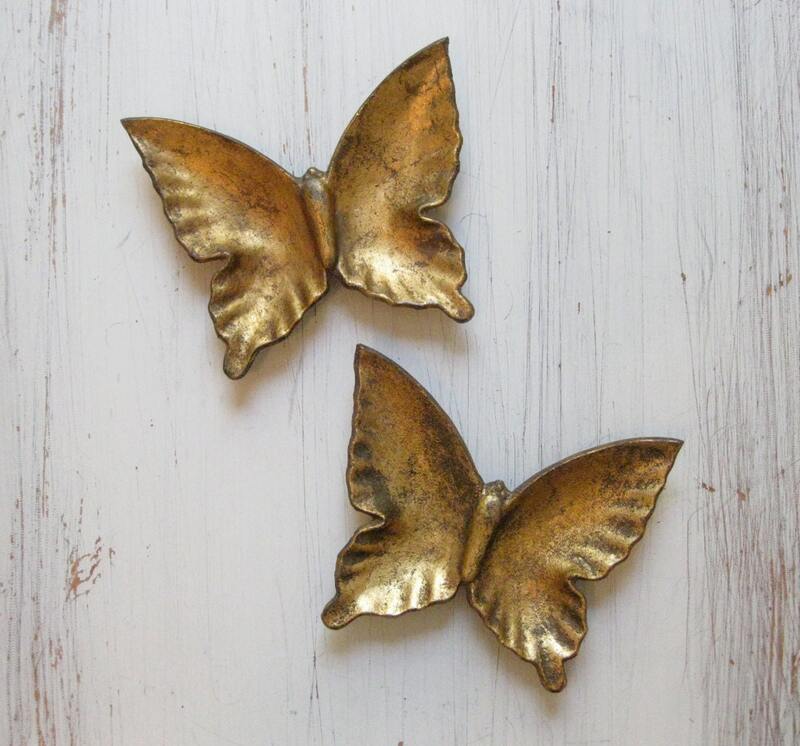 A few weeks ago, Amanda from Wit and Whistle shared a little round up of some of her favorite Etsy finds, and I spotted these golden butterflies in the list. Immediately, I thought of Lindsey and her family because Lindsey loved butterflies, and since her death they have been a kind of "remembering Lindsey" symbol. They seemed like the perfect little gift--small enough not to be too much of a burden (as in, "Oh, thanks . . . now where do I put it? ), simple enough to fit easily into any decor, and, well, just beautiful. Plus, I realized, there could be one for Lindsey's family and one for us to keep! I have learned to go ahead and purchase things like this when I see them (whenever the price is right), rather than waiting and deliberating for too long because some of the best gifts are simply those things that made you think of someone. And if you saw it and thought of them, there is probably a good reason. The butterflies arrived within just a few days of ordering in great vintage condition, packaged carefully and accompanied by a nice little note from Tess of Jerushad Vintage. I chose a butterfly to send to the Boehms, kept one aside for our wall, and made a little card using gold paper and a butterfly punch. Then I packaged it all up in tissue paper and twine and threw in some extra gold paper butterflies for Cadence and Selah, just for fun. I love thinking of you gifts--no matter the occasion. And I am so happy with my half of the deal--a really lovely matching gold butterfly on my mantel reminding me of a special girl and her dear family. Yes, I think so too, Nikki! I need to remember this and just pull the trigger more often. :) It would probably be a good idea to have a little "just thinking of you" gift reserve or something! I remembered your blog today! I need inspiration like this...we all do! May the Lord use you in these kindnesses to others to show his most specific love. Yay, I am glad you remembered! :) Come back often, friend! oh wow these are so beautiful. These really are a great find! I think the gold make it so chic and every girl I know would love this!